Did you know there are almost 5 million pores present on an average adult’s skin? Of those, 20,000 are present on the face alone. These pores are constantly exposed to dust, dirt, pollution, and chemicals that can penetrate into the skin, making it look dull and causing skin troubles. Just like your home needs vacuuming from time to time, your skin needs it, too. And nothing can work better than a clay face mask. Made out of pulverized remains of flora, fauna, and minerals, clay binds with the toxins embedded in the pores and pulls them out. It also helps shrink your pores, making your skin appear tighter and younger. 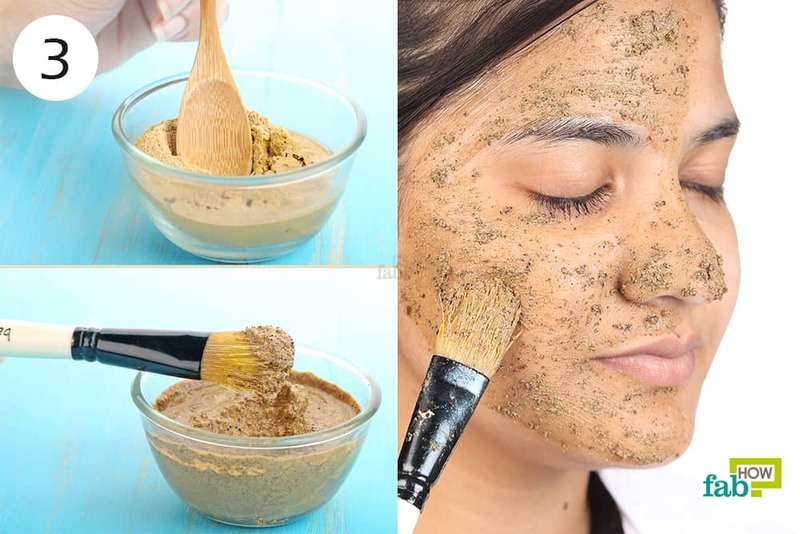 The rich mineral content in clay also remineralizes and rejuvenates your skin. These detoxifying and skin-clarifying virtues of clay make it the gospel of beautiful skin. In fact, clay has been used for centuries and is hailed as the beauty secret of the Egyptian queens Cleopatra and Nefertiti. 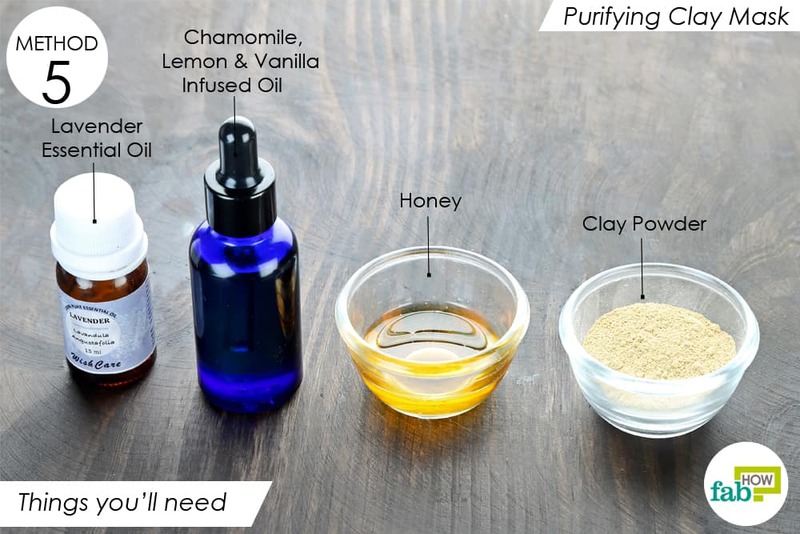 If you want clear skin and a flawless complexion, you need to try a clay mask right now! We’ve got six best DIY homemade clay masks to fix common skin issues. Try the one that best meets your needs to reap the maximum benefits of this earthy ingredient. Note: Do not use metal containers or spoons when whipping up a clay mask. The metal can react with the minerals in the clay and reduce its effectiveness. 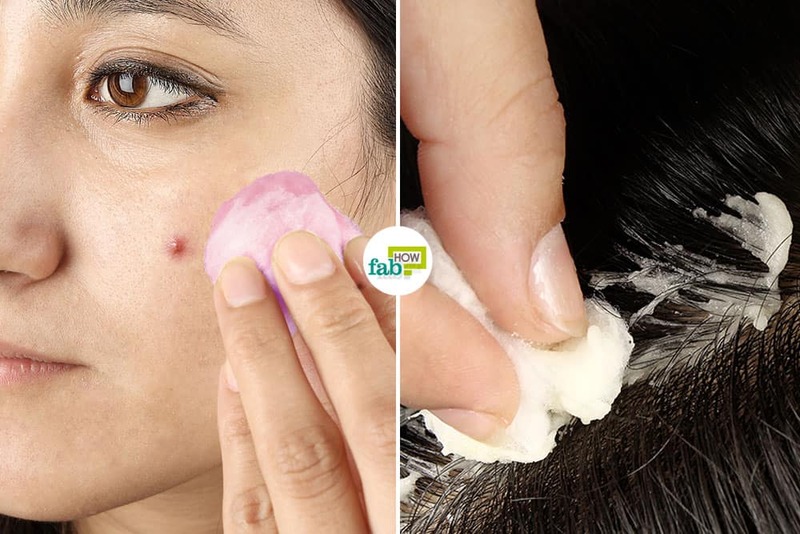 If you have naturally oily skin, acne breakouts can be a common occurrence. The excess oil and accumulated dirt clog the pores and plague your skin with acne. This acne-fighting clay mask absorbs all the excess oil and toxins from the pores and leaves your skin cleansed. 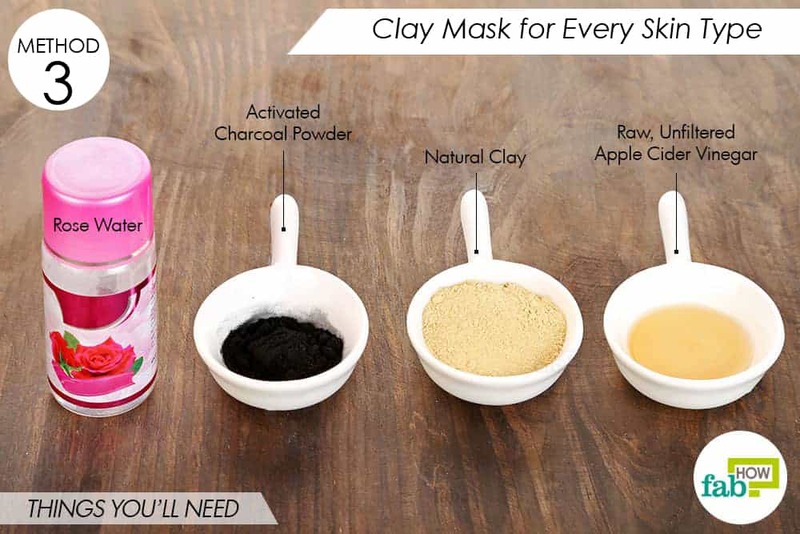 The clay also replenishes the skin with minerals to lighten and brighten it. 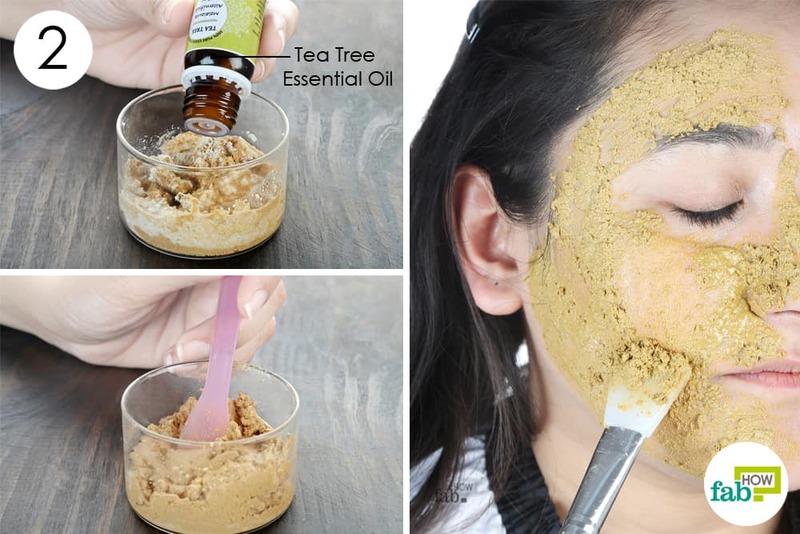 This face mask also uses colloidal oatmeal (finely ground oats) that exfoliates the skin and treats acne. The antioxidants in the oatmeal reduce the inflammation due to the breakout. The saponins in the oatmeal work as a natural cleanser to reduce the oiliness. 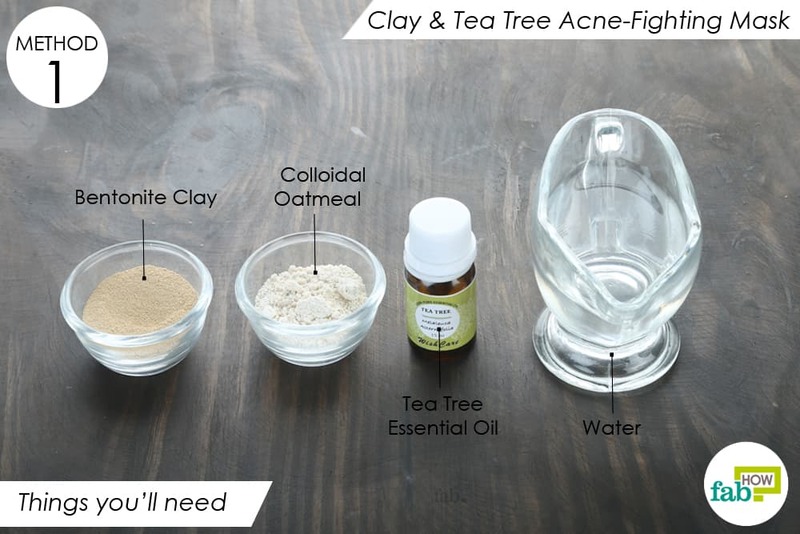 Both clay and oatmeal also help shrink the pores. The tea tree essential oil helps kill microbes on the skin to keep future breakouts in check. 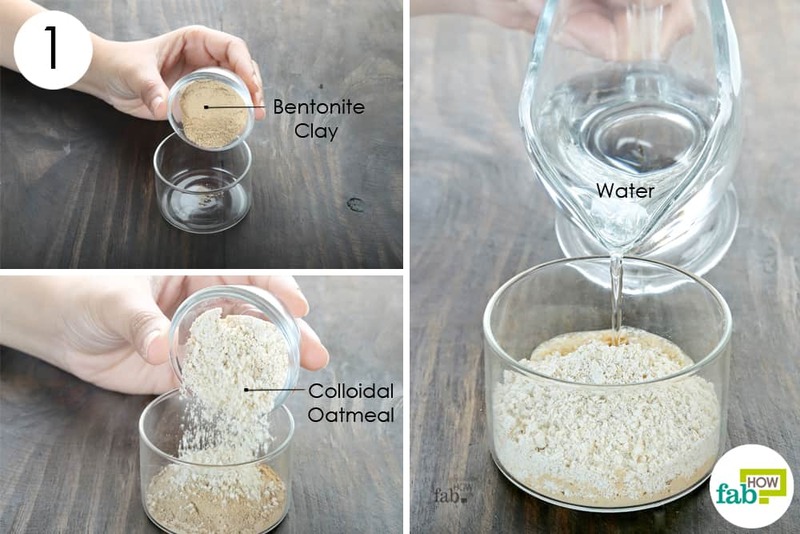 Put 1 tablespoon of bentonite clay in a glass container. You can also use French green clay or kaolin clay. Add 1 tablespoon of colloidal oatmeal. Add enough water to have a mask like consistency. Use a plastic spoon to blend all the ingredients into a thick paste. Clean your face with warm water to open the pores. Use an applicator brush to apply a thick layer of the mask all over your face, except around the eyes and lips. Let it sit for 10 to 15 minutes. The mask should dry partially, and you should begin to feel a stretch in your skin. Rewet the mask and massage it in circular motions for 1 minute before rinsing it off with lukewarm water. Pat your skin dry and apply an oil-free moisturizer. Use this DIY homemade clay masks once or twice a week to control acne breakouts and reduce the oiliness of your skin. Excessive use of cosmetics and the environmental stress can disrupt the pH of your skin and give way to skin troubles. This particular blend of clay and apple cider vinegar helps draw the embedded impurities out of the pores and also normalize your skin’s pH. Apple cider vinegar also works as an anti-inflammatory to heal an existing breakout, if any. This mask also uses lavender essential oil that further soothes the skin and tea tree essential oil that kills pathogens trying to invade your skin. Put 2 tablespoons of earth clay in a non-metal bowl. Use a plastic or wooden spoon to mix the ingredients into a smooth paste. Using an applicator brush, apply an even layer of the mask on your entire face, except around the eyes. Let it sit for 15 to 20 minutes or until it dries completely. Use a damp washcloth to wipe off the mask, then rinse your face with water. 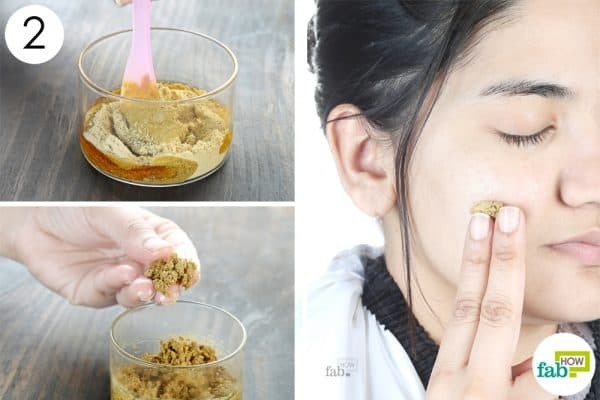 Use this mask once weekly to detox your skin and reduce breakouts. Whether you have oily, combination or dry skin, using a face mask is essential to maintain healthy and glowing skin. Even if you are unsure of your skin type, you can safely use this particular recipe to cleanse your pores, tighten your skin and get rid of acne and pimples. 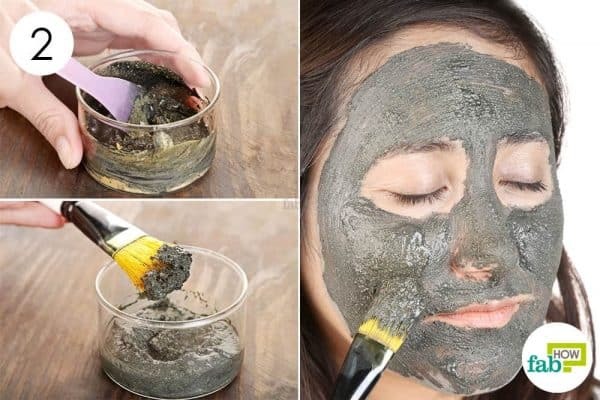 Along with the natural clay, the activated charcoal in this mask binds with the toxins in your skin pores and pulls them out, in turn shrinking the pores. The apple cider vinegar rebalances the pH level of your skin. The rose water, apart from working as a binding agent, tones and cleanses your skin. Put 1 tablespoon of natural clay in a non-metal container. 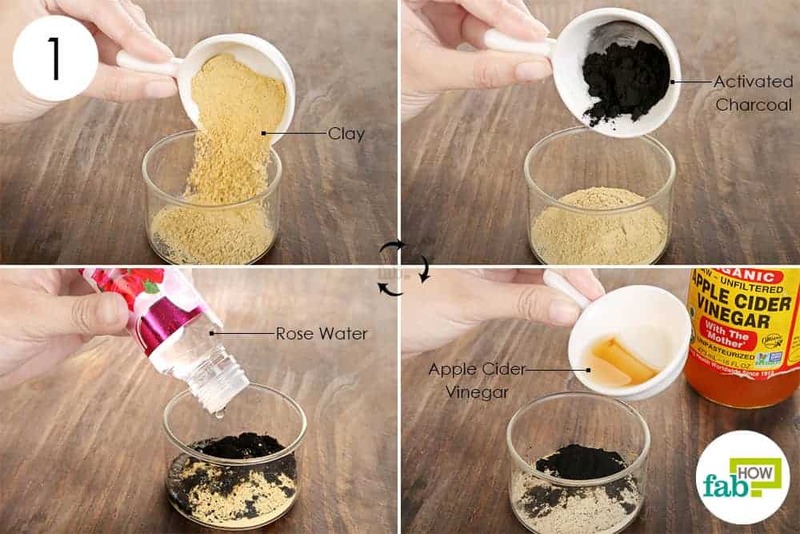 Add ½ teaspoon each of activated charcoal powder and apple cider vinegar. Add enough rose water to make a smooth paste. Use a plastic spoon to mix the ingredients into a smooth, consistent paste. Use a cosmetic brush to apply it on your face. Leave it on for 15 to 20 minutes, then wash it off with cool or lukewarm water. 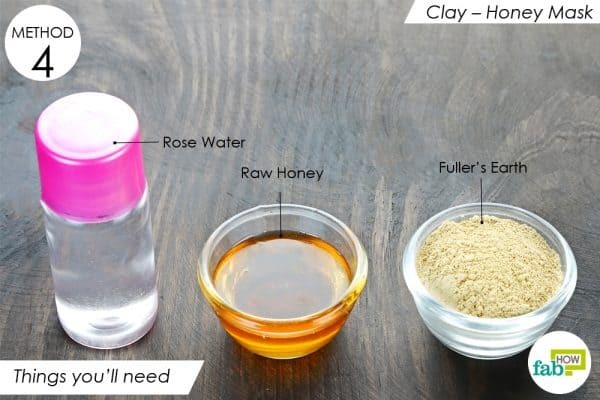 Use this DIY homemade clay face mask once every 3 days to get a beautiful and clear skin. Are you suffering from pigmentation and dark spots? Try this easy-to-make clay and honey mask to naturally lighten your skin. The fuller’s earth used in this mask helps lighten your skin and fade dark spots and blemishes. Just like any other clay, it also helps absorb excess oil from the pores and rejuvenates the skin with its mineral contents. Being a natural humectant, the honey seals moisture into the skin, which makes this mask suitable even for dry or combination skin. Honey is also a natural antibacterial that forms a protective layer over the skin to keep infections and breakouts in check. 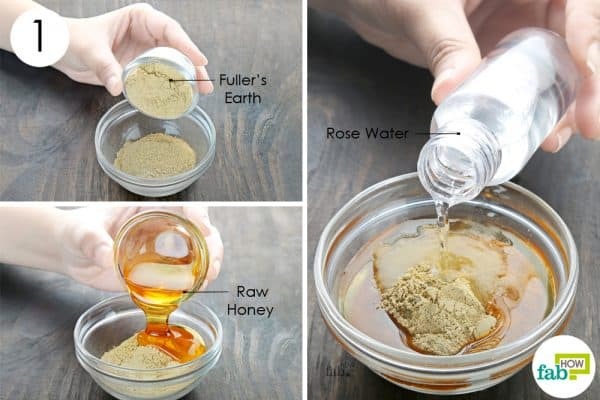 Put 2 tablespoons of fuller’s earth in a bowl. Add enough rose water to make a thick paste. Apply a thick layer of the paste on your face, avoiding the eye area. Leave it on for 10 to 15 minutes, then rinse it off with water. 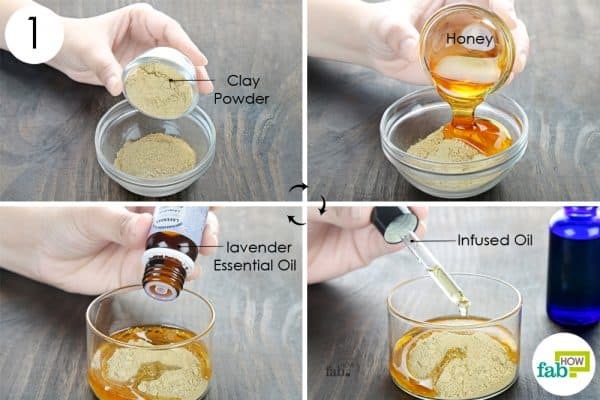 Apply this DIY homemade clay mask 1 or 2 times every week to lighten your skin naturally. 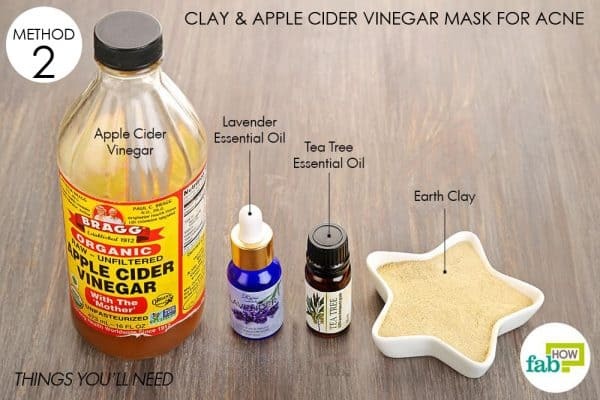 Use this purifying clay mask once a week to detox your skin and give it a natural and healthy glow. To make this purifying mask, you can use any clay of your choice. 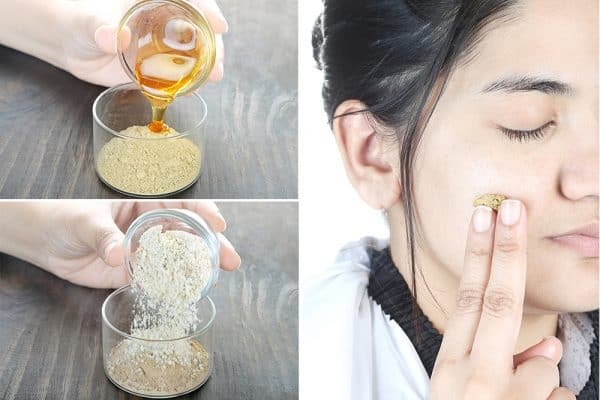 This mask also uses honey that helps moisturize your skin without turning it oily. It also protects your skin from pathogens. Also, this mask uses an oil blend that not only binds the ingredients together but also nourishes the skin with its nutrients. We used oil infused with chamomile flowers, lemon, and vanilla, all of which are rich in antioxidants and help fight free-radical damage. It also has a few drops of lavender essential oil to add anti-inflammatory and antibacterial properties to the mask. 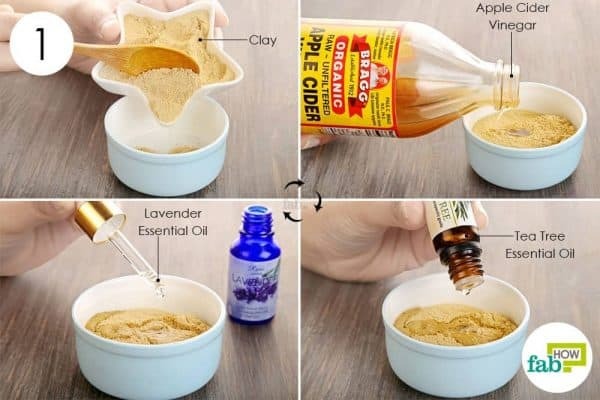 Put 1 tablespoon of clay in a non-metal container. You can use bentonite, fuller’s earth or French green clay. Add enough chamomile, lemon and vanilla-infused oil to make a thick paste. You can use jojoba or argan oil instead. Apply a thick layer of the paste on your entire face, except the eye area. Leave it on for 5 to 10 minutes. Wait 20 minutes if you have oily skin. Gently wash it off with warm water. Do not try to rub it vigorously if the paste doesn’t come off in one go. Simply apply more water to rinse it off. Finish with a light moisturizer. 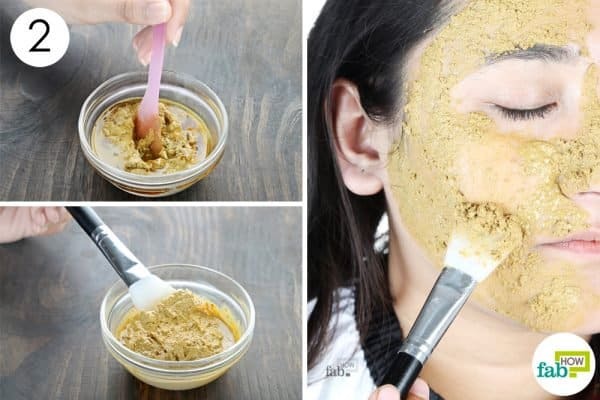 Use this DIY homemade clay mask once weekly to keep your skin clean and firm. Exfoliation is a crucial part of a skincare regimen, followed by a nourishing mask. This clay mask takes care of both. The coffee grounds used as the exfoliating agent in the mask also contain antioxidants that fight free-radical damage to prevent premature aging. Scrubbing your skin with this mask also improves blood flow to give your skin a healthy glow. The apple cider vinegar maintains the pH balance of your skin and also works as an antimicrobial agent along with the tea tree oil. 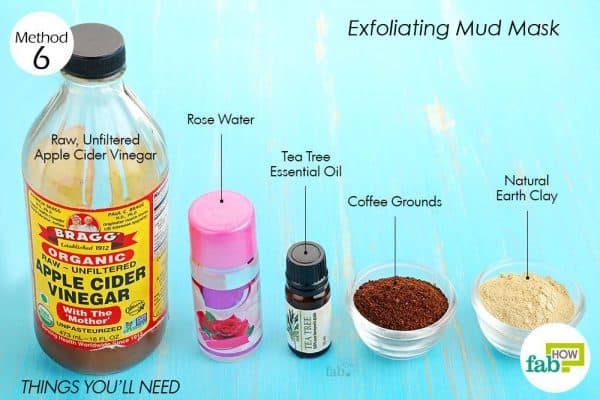 The clay helps absorb toxins from the pores, and the rose water helps tone the skin. 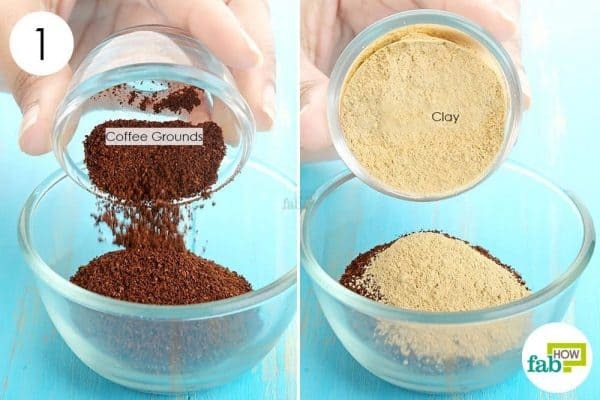 Put 2 tablespoons of coffee grounds in a non-metal bowl. Add 2 tablespoons of natural earth clay. 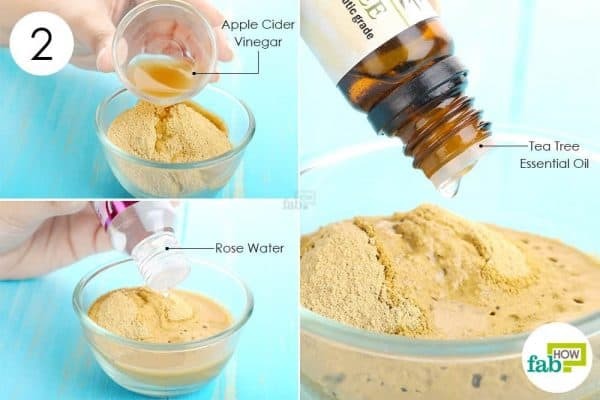 Add 1 teaspoon of raw apple cider vinegar. Add 2 or 3 drops of pure tea tree essential oil. Add enough rose water to bind the ingredients into a thick, spreadable paste. Blend everything well with a wooden spoon. Apply the mask on your face using a cosmetic brush, avoiding the area around your eyes. Rewet the mask, gently massage in circular motions for 1 minute and then rinse it off. 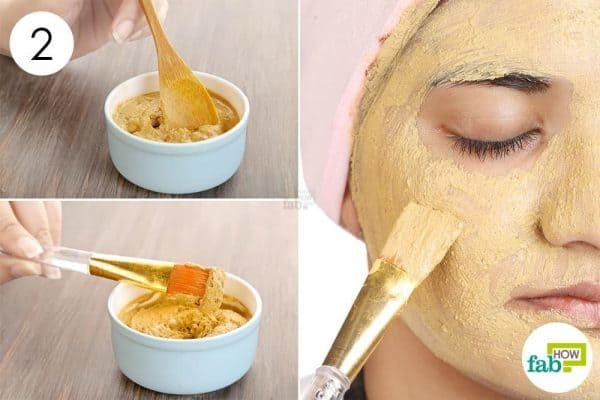 Use this homemade clay mask 2 or 3 times a week to get brighter and younger-looking skin. If you have extremely dry skin but an oily T-zone, use the clay mask only on the trouble spots instead of applying it all over your face. If you find it cumbersome to wash off the mask with water, you can also use a damp cloth to wipe it off gently. Where can you purchase earth clay? You can buy fullers earth clay from any of the online stores. Always check the customer reviews before buying it.